The movie was made in 1971 and the language is awesome! 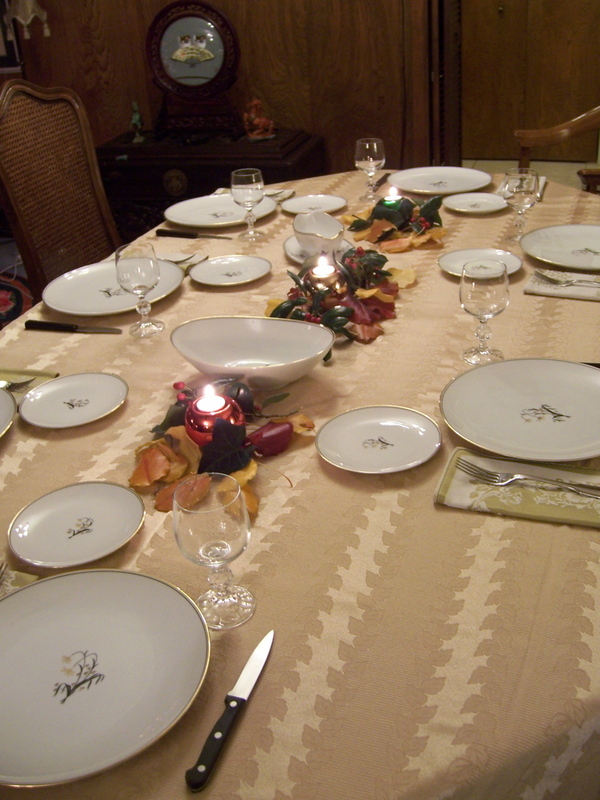 I Rule The Table Settings! I did opt to keep the napkin under the forks though, uncivilized as it may be, I like it better that way. Plus we are in Texas and things are more relaxed here. The view from my mum-in-law's backyard. 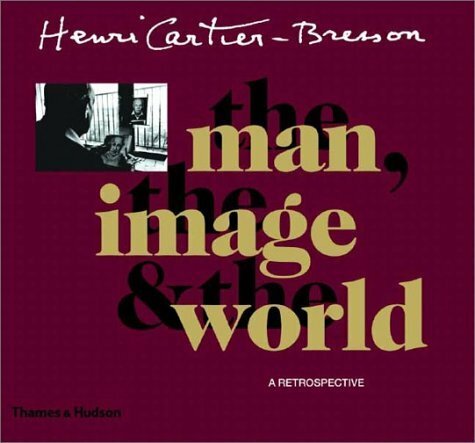 Kurt gave me a book on Henri Cartier-Bresson to inspire my own photography and it has. I am very excited about taking many more photos in the 08 and also getting a better camera so I can do so. Looking at the photos also makes me want to travel so much more in the near future. So much to do and photograph. Cartier-Bresson exclusively used Leica 35 mm rangefinder cameras equipped with normal 50 mm lenses or occasionally a wide-angle for landscapes. He often wrapped black tape around the camera's chrome body to make it less conspicuous. With fast black and white films and sharp lenses, he was able to photograph almost by stealth to capture the events. No longer bound by a huge 4×5 press camera or an awkward two and a quarter inch twin-lens reflex camera, miniature-format cameras gave Cartier-Bresson what he called "the velvet hand [and] the hawk's eye." He never photographed with flash, a practice he saw as "[i]mpolite...like coming to a concert with a pistol in your hand." He believed in composing his photographs in his camera and not in the darkroom, showcasing this belief by having nearly all his photographs printed only at full-frame and completely free of any cropping or other darkroom manipulation -- indeed, he emphasized that the entire negative had been used by extending the area reproduced on the print to include a thick black border around the frame. Cartier-Bresson worked exclusively in black and white, other than a few unsuccessful attempts in color. He never developed or made his own prints. He said: "I've never been interested in the process of photography, never, never. Right from the beginning. For me, photography with a small camera like the Leica is an instant drawing." Cartier-Bresson is regarded as one of the art world's most unassuming personalities. He disliked publicity and exhibited a ferocious shyness since his days in hiding from the Nazis during World War II. Although he took many famous portraits, his own face was little known to the world at large (which presumably had the advantage of allowing him to work on the street in peace). He dismissed others' applications of the term "art" to his photographs, which he thought were merely his gut reactions to moments in time that he had happened upon. In my humble experience, I find I fit with this technique. I crop my photos from time to time, but mostly take a photo that is "done". I have taken photography classes and have printed my own photos, but don't find it nearly as interesting as taking the photos themselves. I can't wait to do more. It's about 12:30am on Christmas Eve/Christmas Day and I'm in our hotel room in Hurst Texas, listening to James Taylor singing Auld Lang Syne and it's sweet and melancholy. Tomorrow we'll open presents and eat a lamb roast with Kurt's family, then probably play a bit of Wii. 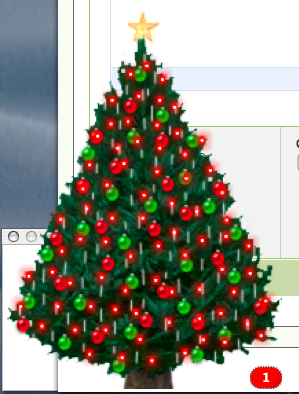 For right this moment, I'm basking in the twinkly lights of my little virtual christmas tree (that's a screen grab of it) and watching the digital snow fall across my monitor. I'm enjoying a few moments just for me before going to sleep. I'm going to click over to Cute Overload and icanhascheezburger as my holiday treat. Just saw this today at Boing Boing. 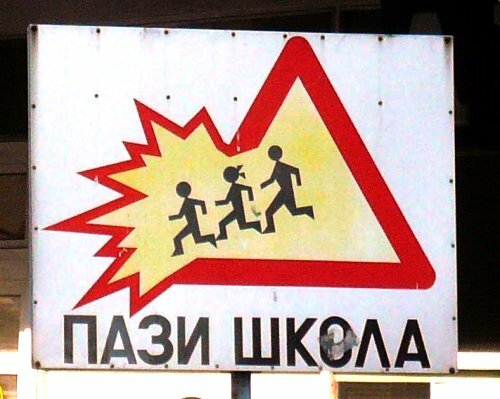 It is from Serbia and apparently children just explode when they run in Serbia. Went to Weight Watchers today and I'm down a total of 14 pounds. Hooray for me! I'm particularly glad to go into Christmas week feeling lighter so that I will remember my goal to continue to feel lighter into the new year. I learned this from my favorite dictionary: Urban Dictionary. The day before Christmas Eve. Since Adam was created before Eve, and the need to be equitable in the holiday season, Christmas Adam creates further anticipation of Christmas Day. When is your family coming to our place? 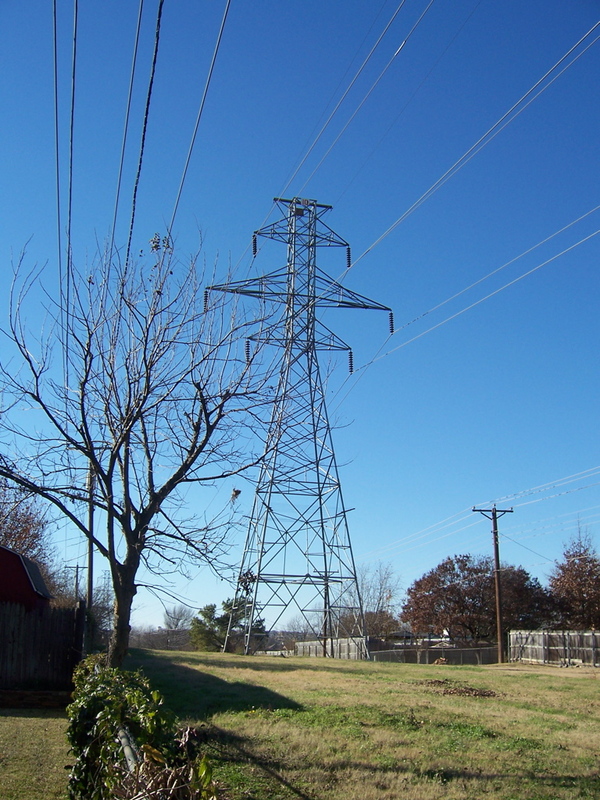 On Christmas Adam and leaving New Year's Day. Christmas Adam is the last chance to prepare for the Christmas Eve party. I love the holidays, the lights, the cool weather, the music, the shopping (I do mine early) and the giving. The mail is much more fun this time of year as well with all the holiday cards that come. But here is where I get a bit scroogey: It annoys me that so many people send holiday photo cards and don't write one thing on them. I imagine all these people out there thinking, "Oh god, we have to have our cutest kids out there for holiday cards!!" So they take a photo of the darling little ones and then send that photo to shuttefly or costco or where ever and have 40 jillion made then address envelopes with pre printed address labels then shove them all in the post box and whew, we followed the rules and sent out proof of how christmasy we are. Often times we get cards from people who live far away and who we talk to or email only a few times a year. Since the communications are not many, I would appreciate even just a "Dear Kurt and Julia, Happy Christmas! Love XXXXXXX" Our electrician, cat sitter and yard crew wrote more on their holiday cards to us than some of our oldest friends. Somehow that just doesn't seem quite right. I would rather get no card at all during the holidays than this "everyone does it, we can't fall behind the Joneses" type of non-communicative communication. Call me old fashioned (YOU'RE OLD FASHIONED!) but a holiday greeting card should have some kind of personalization to it -- I mean AT LEAST SIGN YOUR FREAKIN' NAMES!! Here endeth my holiday rant.